If you are an accredited investor interesting in joining other Mississippi investors as an individual or in a fund forming in your area, please contact us at info@innovate.ms. All entrepreneurs begin with a rigorous and thorough entrepreneurial development process to prepare them to become investor-ready deals and qualify for introduction to investors. The Mississippi Seed Fund also has a proof-of-concept fund that can help entrepreneurs get to investor-ready status, but all entrepreneurs must start with the Innovate Mississippi Entrepreneurial Development Team and be qualified before being introduced to investors. The Mississippi Angel Investor Network is a group of accredited investors who review fundraising pitches from Mississippi-based innovation companies seeking seed and growth capital. The Network is administered by Innovate Mississippi and is comprised of accredited individual and institutional investors from inside and outside of the state. Companies typically seek funding ranging from $250,000 to $800,000 and represent many technologies such as software, life sciences, and communications. Companies seeking funding via the Network must either be headquartered in Mississippi or have substantial operations within the state. One of the greatest challenges entrepreneurs face is access to seed and growth capital. 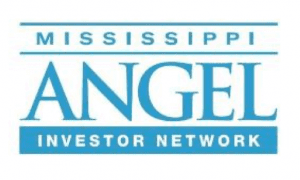 The purpose of the Mississippi Angel Investor Network is to connect potential investors with emerging technology companies seeking investment. The Mississippi Angel Investor Network provides entrepreneurs a more effective means to gain access to early stage capital and contributes to the business and investment climate of the state. Innovate Mississippi serves both the investors and the entrepreneurs. For entrepreneurs, Innovate Mississippi identifies promising Mississippi companies seeking seed or growth capital, provides feedback on their fundraising strategy and materials, and prepares these companies before they present to the Network. This screening and preparation serves investors by insuring that only the highest quality company presents to the Network. Innovate Mississippi engages with over 120 companies a year, while only choosing 8-10 companies to present to our Angels. Although Innovate Mississippi cannot guarantee the outcome of any investment opportunity, it is our hope that the quality deal flow presented to the Network will encourage investors to remain engaged in, and potentially invest in entrepreneurial activities in the state. Typical returns expected are three times return on your investment in three years or five times return in five years. The Mississippi Angel Investor Network also serves as a forum for social and professional interaction between members who may be fundamental to future technological pursuits in Mississippi. The success and growth of such entrepreneurial endeavors will play a vital role creating higher-paying jobs, and a more diverse, stable, competitive economy for the state. Why would I want to participate in the Mississippi Angel Investor Network? A forum for interaction with other investors around Mississippi from various disciplines to share due diligence resources and collaborate on investments. Confidential access to a secure, online, updated database of early stage Mississippi technology companies seeking investment capital. What are the qualifications/criteria for participation? To participate in the Mississippi Angel Investor Network, you must be an “accredited investor” as defined under Rule 501 of the SEC regulations (which defines the same as: “any natural person whose individual net worth, or joint net worth with that person’s spouse, at the time of her purchase exceeds $1,000,000” or “any natural person who had an individual income in excess of $200,000 in each of the two most recent years or joint income with that person’s spouse in excess of $300,000 in each of those years and who reasonably expects to reach the same income level in the current year”), or an official of a firm which is making investments. You must also have an interest in supporting emerging Mississippi technology companies. Although we never require you to invest, you must show an interest and willingness to evaluate opportunities and to invest in deals. It is our sincere desire to have you commit your time to hear the presentations from companies in whom you have an interest. How many Mississippi Angel Investor Network companies have been funded? More than 50 companies have been funded from members of the Mississippi Angel Investor Network since 2005. We closely track the follow-up and investment in other presenting companies. For inquires and more information, feel free to contact us. Does the Mississippi Angel Investor Network have a fund? The Mississippi Angel Investor Network is structured as a network with several chapters around the state, rather than a fund. This means that all members conduct their own due diligence and make investment decisions on an individual basis. However, it is expected that syndicates of investors might form to fund a presenting company to further distribute individual risk. The Mississippi Angel Investor Network allows investors to make their decisions on an individual basis with their own capital. An Angel Fund allows investors pool their capital and have a professional manager make investment decisions on behalf of the fund. What is the meeting structure? The Network conducts meetings or “Road Shows” in various locations around the state as deals are cleared for investment. Each meeting usually begins around 5:30 PM and consists of light food and drinks, followed by two company pitches. Each presenter is given 30 minutes total for their presentation and questions from the investor audience. How do I join the Mississippi Angel Investor Network? We encourage you to attend a meeting to see the value of the Network for yourself. We ask that in order to continue participating in the Angel Investor Network, you pay your $200 annual membership fee. Accredited investors can contact info@innovate.ms for meeting dates and more information. Innovate Mississippi’s Entrepreneurial Development Team works closely with each company to ensure they are “investor-ready” before presenting to the Mississippi Angel Investor Network. To engage with us, please visit the Entrepreneurial Development page. The executive summary is typically the first portion of your business plan that an investor will want to review. A good executive summary is essentially a condensed but powerful summary of your entire business plan. It creates a first impression to the investor’s of both you and your business. What type of information is included in an Executive Summary? An executive summary should briefly describe the company, the problem your product or service is solving, the market size, a description of the product or service, the competitive differentiation of your product or service, the revenue model, the management team, financial highlights, and your capital needs. The Mississippi Angel Investor Network prefers to view brief (one to three pages, 10 pt. font or higher) executive summaries. Please provide the following information at the top of the first page or on a title page: Company name, contact name, phone and email contact. Does the Mississippi Angel Investor Network fund projects outside of Mississippi? No. Companies seeking funding through the Network must be headquartered in Mississippi or have a substantial operation within the state. However, the Network does have investors from out of the state interested in reviewing opportunities within Mississippi. Innovate Mississippi is in the process of helping Mississippi investors form investment funds in several regions. Participation in a fund is often a better choice for investors in order to spread risk and spread the work of screening and due diligence. Angel funds also allow investors to invest less money and still diversify investments across many companies. Innovate Mississippi can share best-practices for angel fund development with any group serious about forming an angel fund. In addition to other informal partnership, Innovate Mississippi’s Angel Investor Network often works closely with The North Mississippi Angel Fund, a member-managed fund formed in 2018 with assistance from Innovate Mississippi and the Bulldog Angel Network – an angel network for companies and investors associated with Mississippi State University.